A delegation from the Connecticut Council for Philanthropy (CCP) will be participating in Foundations on the Hill (FOTH) on March 11-13, 2019, a two-day event that brings together foundation leaders from across the country to DC for meetings with Congress about key issues of importance to foundations and philanthropy. Connecticut foundation staff and trustees are invited to attend meetings on Capitol Hill to personally discuss their work with members of Congress. FOTH is presented by the United Philanthropy Forum (Forum), in partnership with the Alliance for Charitable Reform and Council on Foundations. 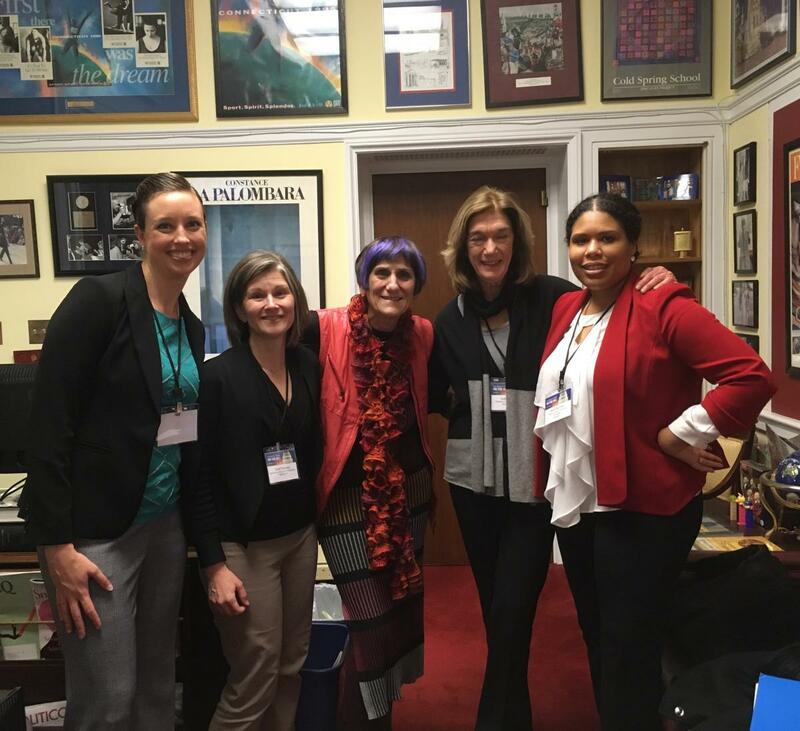 Photo: CCP Connecticut Delegation visiting Congresswoman Rosa DeLauro (Center). FOTH Registration is $175 per person (includes Monday’s opening reception, breakfast on Tuesday and Wednesday, and grab and go bags on Tuesday). PolicyWorks Institute Regustration is $195 per person. If you are interested in participating in the Connecticut delegation, contact Karla Fortunato, CCP president, 860-525-5585. Contact Karla Fortunato, CCP president, 860-525-5585.